Join Us For Youth Month! At SRCU we love to celebrate our members and our youth are no exception! Every April we dedicate an entire month to our youth, helping them learn and get excited about saving! 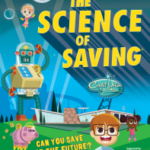 With a futuristic theme, we encourage our members to think about saving throughout their lifetime. 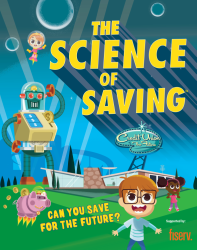 All month long, any new youth member will have their name added to SRCU’s Wall of Future Savers and they will get a free goody bag! Additionally, any youth member that comes in to make a deposit into their account will be entered into a free raffle to win the movie Wall-E! To promote lifetime savings, we have different levels of a 52 Week Savings Challenge in the lobby. At 5 cent, 25 cent, and 1 dollar increments you can choose what suits your budget and lifestyle! Not ready to commit to saving just yet? We also have fun coloring pages available! We are excited to announce a special rate on youth certificates for the month of April! During the week of April 16th-21st we will have daily giveaways in the lobby and on Thursday and Friday there will be popcorn and juice in the lobby! Come in and help us celebrate our future savers!